There are 116,000 people who experience homelessness every night across Australia – 42% are female and 58% are male. On any given day across Australia, specialist homelessness services were supporting nearly 57,000 people. Over 9,900 were young people presenting alone. The Vinnies Community Sleepout is hosted by organisations, community groups and individuals who are inspired to raise awareness of homelessness and also to raise much-needed funds for Vinnies’ homelessness services. 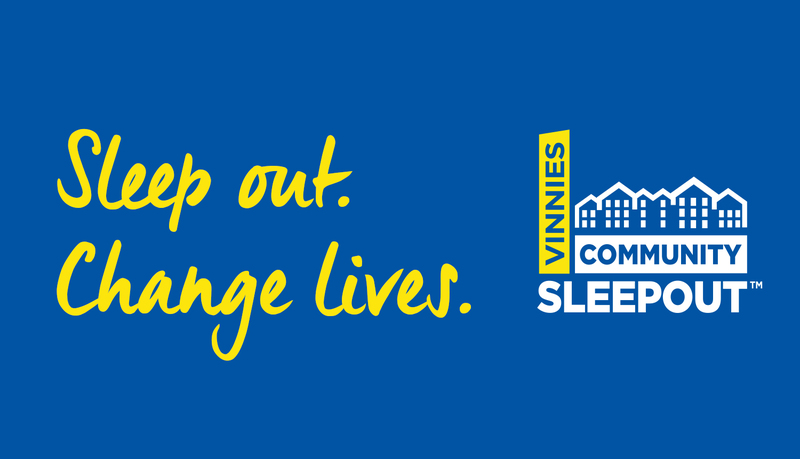 Vinnies is asking you to get involved and hold a Sleepout in your community. To help you do this we have a Vinnies Community Sleepout Kit which is a step-by-step guide to holding your own Sleepout. We are here every step of the way to ensure you have the support you need to hold a successful Vinnies Community Sleepout! When you are ready, please fill out the Vinnies Community Sleepout application form and send it back to fundraising@svdpwa.org.au. If you have any further queries please contact our Fundraising Coordinator on 08 6323 7500 or email fundraising@svdpwa.org.au.